With a fresh breath and the natural protection of Propolis, our Propolis Chewing Gum with Cinnamon flavor is designed to provide optimum oral hygiene. 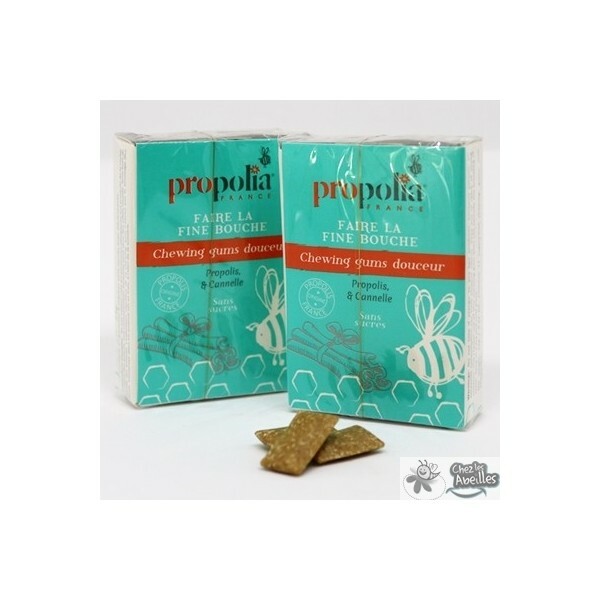 Known for its numerous properties, Propolis fights bad breath and unpleasant dry mouth. Propolis has antibacterial and antinflammatory properties. Now you can enjoy these benefits in a flavorful blend in our Propolis and Cinnamon chewing gum. Thanks to a significant concentration of Propolis (6.4%), you can benefit from these active ingredients gradually by chewing, working both in a general (via sublingual absorption) and at a local level, disinfecting the oral cavity. 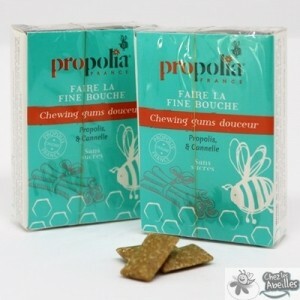 Packaged with 100% pure French Propolis, in a fresh tasting chewing gum with natural mint and licorice flavor, totalling 27 sugar-free pieces per box.